Thread: No, no, no, GT5 keeps freezing!!! PS, just to add, it only started to happen when I connected a GT wheel for the first time yesterday. I did straight away mate. It's freezing, so I can catch you up. A little bit of headway, the game was even freezing on pause at the real time of 2.31 minutes, so I had to find out if its a hardware fault or software. I deleted the game again but saved all my progress and cars on USB card just in case, well same again, so I deleted loads of other games that I don't play like MAG, GTA and so on but still keeping all the save points in hope its a memory thing and its freezing when the memory cant store any more replay data. Well that got me 8 minutes into the game but that's no good to me as my next race is a 90 laps race. Something I picked up from surfing the forums was problems when you make your own soundtrack, so I think I might have sorted it. I've deleted a song and just got 20 mins out of it before I turned it off. Just to note, i'm running Version 1.0 as when I reinstalled I disconnected from the Internet so no patches running at the moment. I'll do this endurance race and see how it goes. If I get through it I've save it onto USB card again and install v1.05 again and take it from there. Fingers crossed mate. A bit more digging shows the fault with using your own soundtrack seems to be a bit of a common problem. 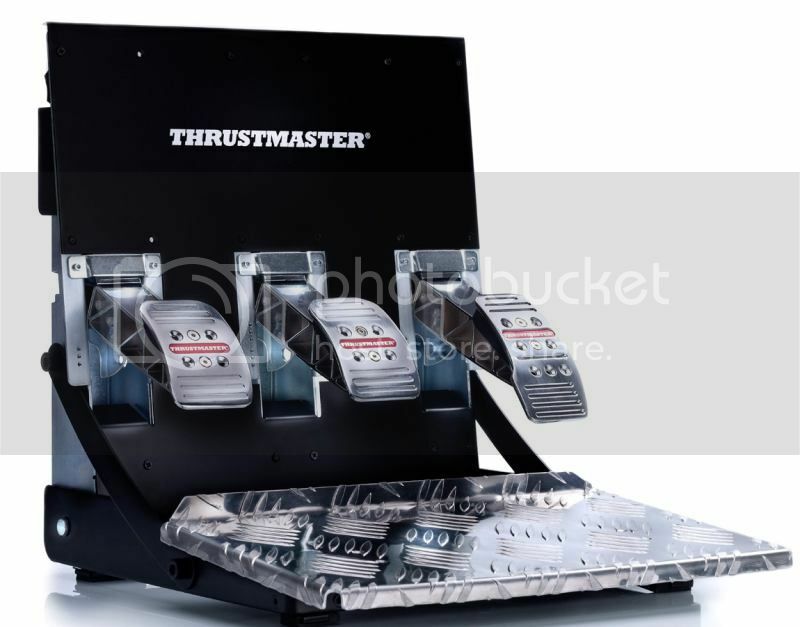 Ahh, you see, you need to use the new "official" GT5 wheel and pedal set from Thrustmaster, The new T500 RS Is officially licenced by Sony & Polyphonic, Due for release on 5th Jan (according to official Press release, although amazon have it listed as 14th Jan). 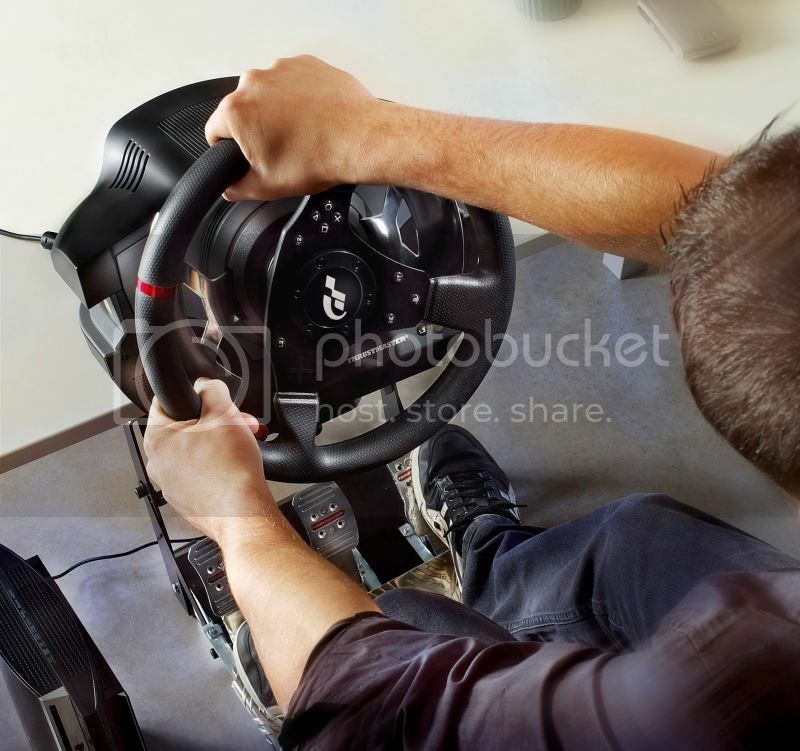 Seems a bit much to expect people to pay more for an accessory that can only be used with one particular gaming genre, than the actual console needed to use it on..
London, December 23, 2010 — Thrustmaster® is pleased to unveil today the T500 RS wheel and pedal set specially designed for Gran Turismo 5: a racing assembly that lets gamers live the most realistic, powerful driving experience, with no compromises. · The T500 RS will be available at HMV & Amazon from 5th January at a suggested retail price of £449.99 (VAT included). Last edited by Big-Pete; 28th December 2010 at 12:46. LOL, yea i've seen that Pete, it mentions it in the games home screen "news" screen, but it doesn't mention the price OMG, now I see why. 1.8 won't heat up - Bl**dy freezing!